My favorite way for people to get into a game is via a 2-player starter set. You and a buddy can split the costs and get going right away with a set each. You don't have to worry about figuring out what factions play well against each other, or if you've got a good starter force to learn with. Everything's right there for you. 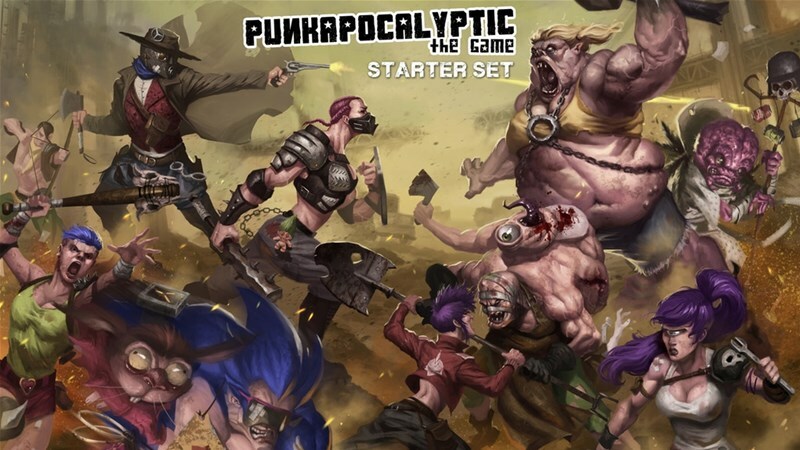 The folks at Bad Roll Games are looking to create just that for Punkapocalyptic, and they've launched a Kickstarter in order to get it funded. Our goal is to release a Starter Set for two players. For that we have chosen our first and probably most emblematic factions: Gangers and Mutards. 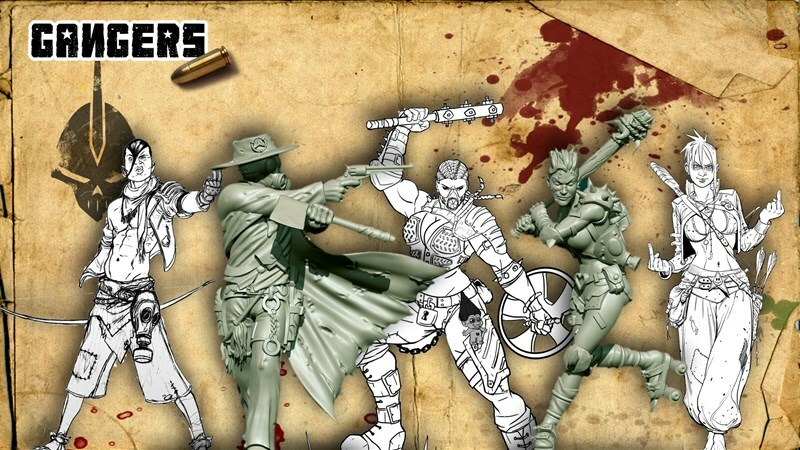 We will also include a battle rulebook (in Spanish or English) and a set of dice. 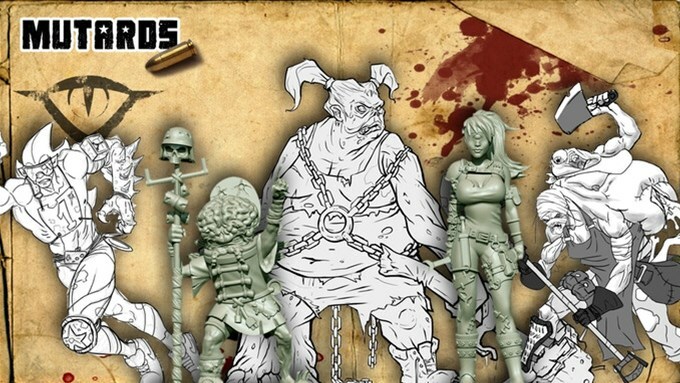 This box will appeal both new players wanting to get introduced into the game, as well as more veteran players who want to add new miniatures to their bands. So now you have no excuse not to follow the Punkaddiction. The campaign's about 3/4 of the way to its goal with 14 days still to go.